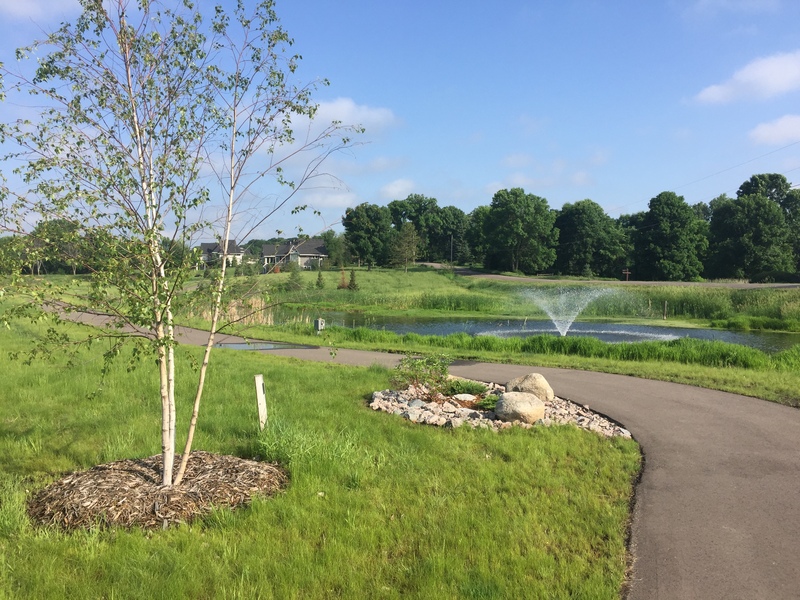 The Park extends from North Arm Drive to the eastern shoreline of an 8 acre pond and offers a wide vista that includes the conservation prairies of the Lakeview residential community. A smaller pond and wetland also lie within the park. TRAILS extend throughout the park and can be accessed at two points on North Arm Drive. They are the same width as the original golf cartways and connect with those of the residential community. A small parking area is available near the southern access point along North Arm Drive. Most of the golf course turf was replaced by a lower maintenance fescue mix though parts of it will be mowed periodically, providing contrast with adjacent prairie and wetland areas – and a hint of the old golf course. Over eighty native TREES have been planted including white and red pine, balsam fir, black spruce, quaking aspen, tamarack, red and sugar maples, swamp white and pin oaks, river and paper birch, poplar, hackberry, mountain ash, and even a Kentucky coffee tree. Signs provide information about each species. 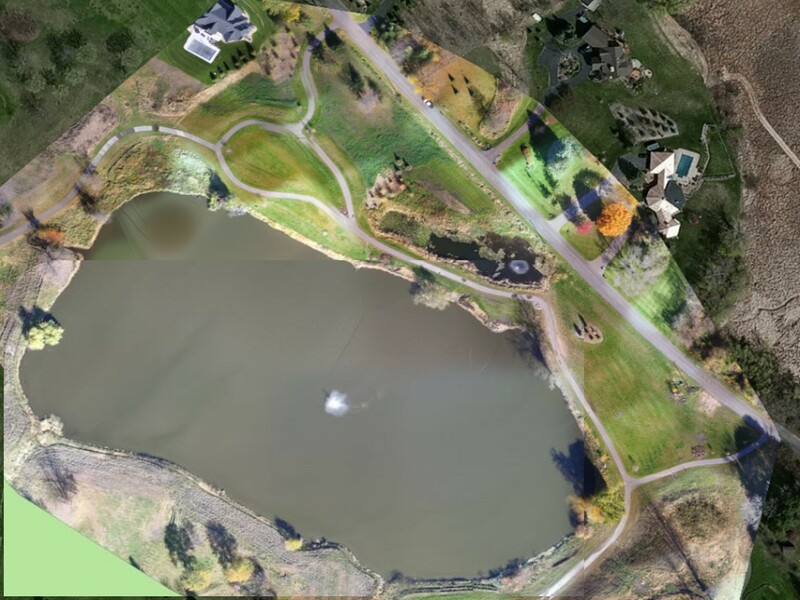 Four natural stone BENCHES have been donated and placed at scenic locations along the pond. Each one is being surrounded by trees and other plantings to create its own unique environment. Two additional benches will be added at scenic overlooks along the northern and southern borders of the park. 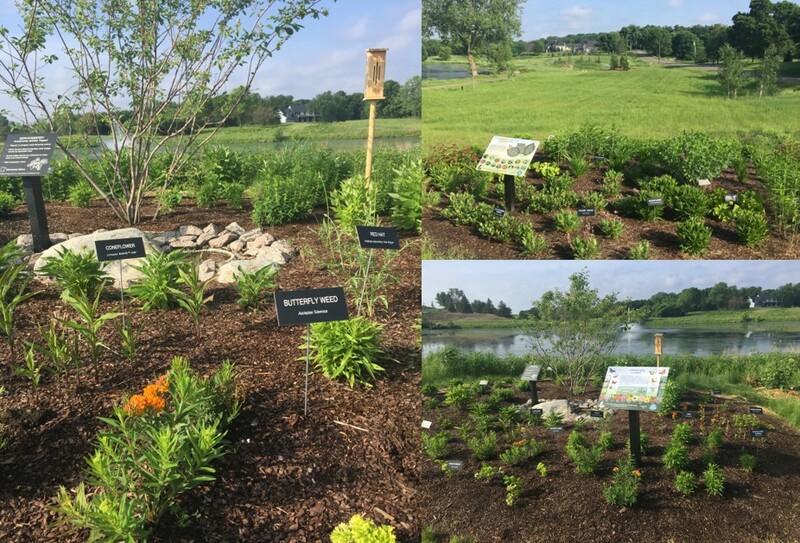 During the summer of 2017 an interpretive garden of 140 native perennials and a lepidoptera habitat containing trees, shrubs and plants that support the entire butterfly life cycle were planted in two different locations. Native perennials go through a three year “weep”, “creep”, and “leap” cycle and are rapidly progressing from the “weep” to “creep” stage. In 2018 a new garden of native perennials, optimized for seasonal color, was added in the “loop” area of the park. Flowers and shrubs have also been included in the area surrounding the Lakeview Legacy Park granite monument.